With so many businesses vying for that highly-valued customer attention, entrepreneurs need to be more effective with their marketing strategies. They try every possible means of grabbing their interest, from creating glitzy websites to giving away downloadable e-books, white papers and programs. But no matter how much technology has made customers smarter, one fact remains true ever since man learned to trade. People love freebies. More so if they come in the form of usable things like customized coasters, matchbooks and so on. Only one out of five consumers throws away unwanted promotional items. House wares/tools rank 21% among the most useful giveaways, with 23% kept because of their attractiveness. Only 53% of consumers recall a company’s name when they see it on banners or print ads. This pales in comparison to a 76% recall when people see a company’s name on a promotional item. Based on the statistics presented above, it can be said that customers actually like receiving promotional items for their usability in their daily activities. But how can these help a company grow? Aren’t these giveaways just a waste of an entrepreneur’s precious time, money and effort? How can this form of marketing strategy help brand your product and ultimately, generate sales? It all boils down to consumer psychology, and it works in several different ways. Here’s an example: For your restaurant’s anniversary, you decided to give away elegantly printed custom coasters. The consumer is attracted to it and uses it for his table at home. He sees it constantly and so do his family members and visitors. Through frequent exposure, the consumer remembers your brand name and recalls how tasty your dishes are. You, therefore, have created a memory that will stay on his mind; and most likely referred to when he gets the urge to eat something delicious. Call it subliminal conditioning of sorts. Sometimes, however, a consumer’s reaction is not immediate. 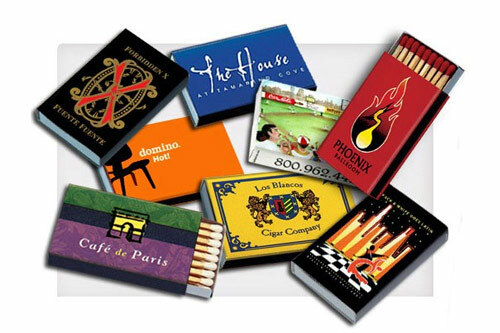 For example, when you give away custom matchbooks in a trade event, a consumer will notice its usefulness at home, in his car or in his office. He’ll take a glimpse at it, take it with him and put it in his pocket. More often than not, it’ll be forgotten until he is faced with the need for it. That matchbook will be remembered during a power outage on a stormy night; when lighting up a barbecue grill or a bonfire in an overnight camp; or simply to burn old photographs. Since your item answered a need, the consumer will take a better look at your brand, thank you for it and promise to consider buying your product. And of course, there’s always the possibility of them sharing your promotional ideas to their friends and loved ones. Bear in mind that you’ll be giving a huge amount of these items for free. This means that there will be no immediate ROI to look forward to. It’s better to be able to give all of your existing customers and possibly would-be ones than giving only to a handful of customers due to budgetary limitations. Choose items that will not be limited to a specific gender, age, race or other delineating factors. A miniature doll may be highly appreciated by girls aged 3 to 93, but may not suit the taste of men. As the old saying goes, a thing of beauty is a joy forever. You can expect your customers to keep your elegantly designed business promotion products. In some cases, those products are handed down from one generation to the next. The primary attraction of promotional products is their usability. Consumers love to have scratchpads, logoed Kleenex tissue packets, and other items that they can use on a daily basis. Will consumers ever tire of receiving promotional items? Not in a thousand years.